Sellers have always offered a bespoke design and manufacture service. 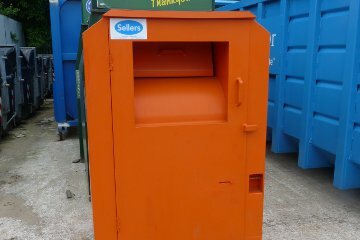 We want you to have the container you require for your application NOT necessarily a make do container from our standard range. 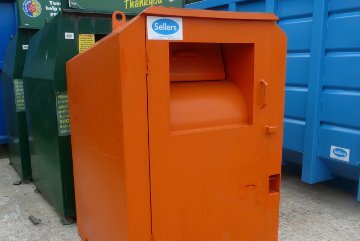 We have manufactured an enormous variety of special application containers including, but not limited to, paper banks, liquid tanks, plant transportation flatbeds, asbestos containers and now clothing banks. 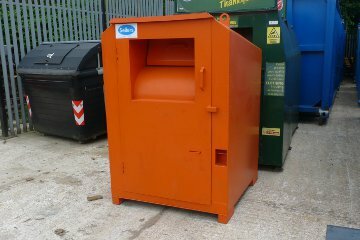 Designed to be used for the collection of textiles or shoes in recycling and collection centres as well as in the community, our Clothing Banks are made from strong lightweight, all steel plate with a fully welded construction with the technical knowledge used to manufacture our skips and containers – thus giving greater strength and longevity.